Wonder what other plastic he’s got in there? 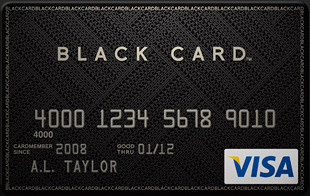 Think Centurion/Black AmEx Card and a MasterCard World Elite! Keep in mind, if he did have the Centurion Card, he could have had all of his cards replaced through the card replacement program, although, I’m sure he’s got enough personal assistants to take care of that. “I’m supposed to start off, and say that I’m very happy to be here, and I guess I am. But it’s 4:15 in the morning as far as I’m concerned, and I lost my wallet on the way here,” Saunders said. “It’s rather embarrassing when somebody steals my credit cards.” The comment prompted laughter. Saunders began his presentation at 7:15 a.m EST.